How about a free cup of coffee (or tea)? Do you know how to get a free cup of coffee or tea at Abbey Cottage? Whether you’re after a loose leaf tea, a speciality Fairtrade ground coffee, or just your usual Latte, this will work! 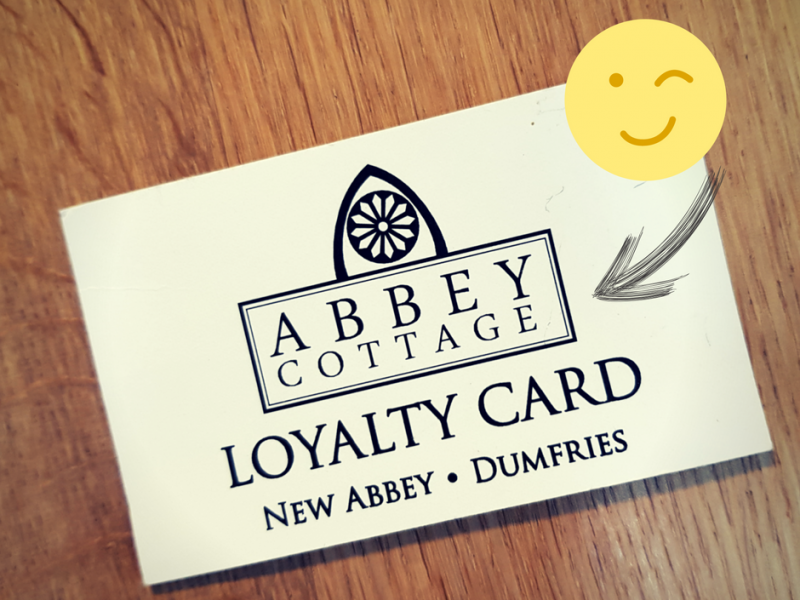 Next time you’re at Abbey Cottage, remember to pick up one our Loyalty Cards. If you don’t see one on the table or counter, please just ask. 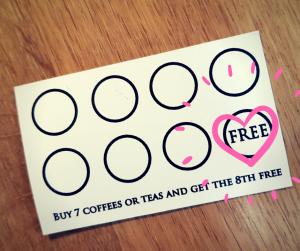 Bring the Loyalty Card with you each time you visit. Ask one of the Abbey Cottage team to stamp your card when you’ve had a tea or a coffee. Enjoy your free cup of coffee or tea! Once you have 7 stamps, bring your card with you on your next visit. Your 8th drink is completely free! Why not pick up a card and leave it in your holiday cottage or chalet for the next guests? Eventually, someone will have an unexpected holiday treat! Abbey Cottage Tearoom is a family-owned business in the beautiful historic village of New Abbey, about 7 miles from Dumfries on the A710 and the #SWC300 route. As well as the romantic ruins of Sweetheart Abbey, there is a restored working Corn Mill open to visitors, and lovely walks in the area. A few more suggestions for things to do here.